Arachnoboards - A link to an absolutely incredible video of a Xenesthis sp White tarantula molting, showing fluid pumping into its carapace and the vulnerability of the tarantula throughout the process. 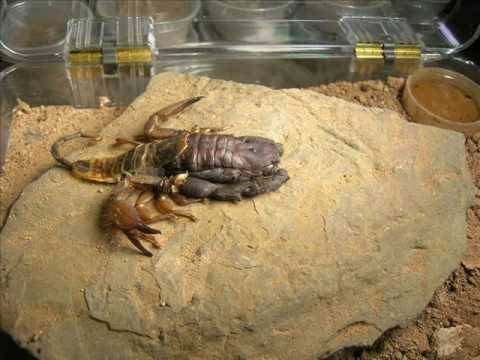 YouTube - A very cool time-lapse video showing a scorpion (Hadogenes troglodytes) going through the molting process. 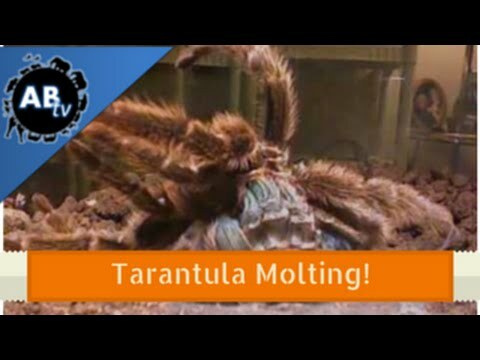 AnimalBytesTV - Enjoy this quick little bonus video from SnakeBytesTV showing the amazing process of molting that tarantulas must go through as they grow.